Urban Decay has been dropping release after release in recent months, including their Liquid Aura, Naked Skin Shapeshifter and more recently they teased their Naked Heat Eyeshadow Palette which sold out within hours during a limited pre-sale earlier this week. TBH it's difficult to keep up! But one limited edition launch that's still available to buy is their 12 piece Urban Decay x Jean-Michel Basquiat Collection. A tribute to artist Jean-Michel Basquiat the collection is wrapped in Basquiat prints on canvas style packaging and they're even equipped with quirky hooks so they can be hung on a wall. Makeup is an art form after all, right? 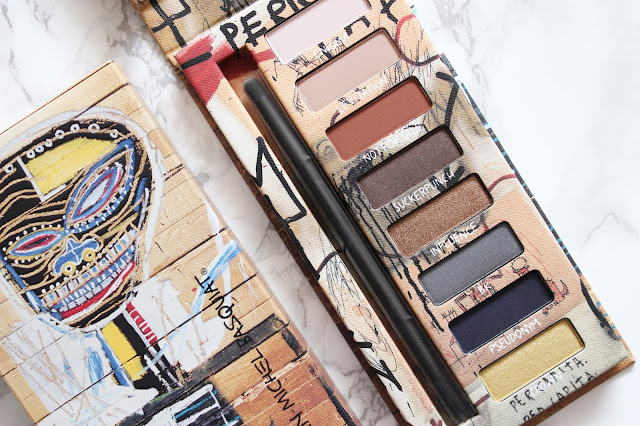 Urban Decay UD Jean-Michel Basquiat Gold Griot Eyeshadow Palette £35.00* Every time a new neutral themed palette launches I get giddy - beige tones are anything but boring. And the UD Jean-Michel Basquiat Gold Griot Eyeshadow Palette includes an assortment of wearable hues for both smokey and minimalist looks. 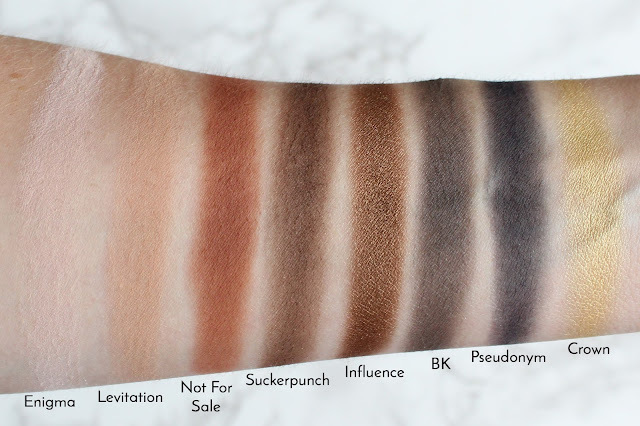 Most of the eight shades have a warm undertone, but BK and Pseudonym are slightly more cool-toned. Overall the formulation is pretty darn decent besides BK and Levitation which sadly aren't as pigmented as the other shades in the palette. A few of my favourite shades include Influence a rich bronze with reddish undertones (this shade reminds me of an old favourite MAC Mulch). And Not For Sale a muted medium terracotta (a dupe for Makeup Geek Sidekick) which looks particularly pretty worn alone all over the lid for that burnt blown out smokey eye look. Urban Decay UD Jean-Michel Basquiat Tenant Eyeshadow Palette £35.00* Urban Decay UD Jean-Michel Basquiat Tenant Eyeshadow Palette is the more interesting of the two palettes and is pumped with colour from turquoise to cobalt blue. Seven of the eight out-there shades are super pigmented, besides Neo which had poor colour payoff. It's safe to say I don't own another palette similar and whilst I wouldn't reach solely this palette, I think they make for a nice pop of colour on the lid when paired with a neutral shade in the crease. Les has to be the easiest black eyeshadow I've ever worked with (yes, really!) and Graffiti a deep shimmery garden green was the best performing shade in the palette. If you want to branch out and add a splash of colour to your collection, I recommend. 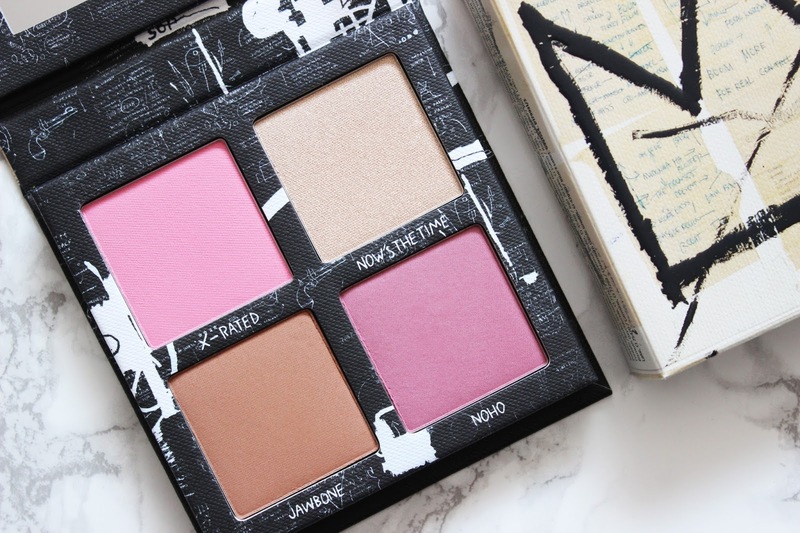 Urban Decay UD Jean-Michel Basquiat Gallery Blush Palette £27.00* The Gallery Blush Palette houses four powders for the face; two pink/purple toned blushes, a bronzer and a highlighter. 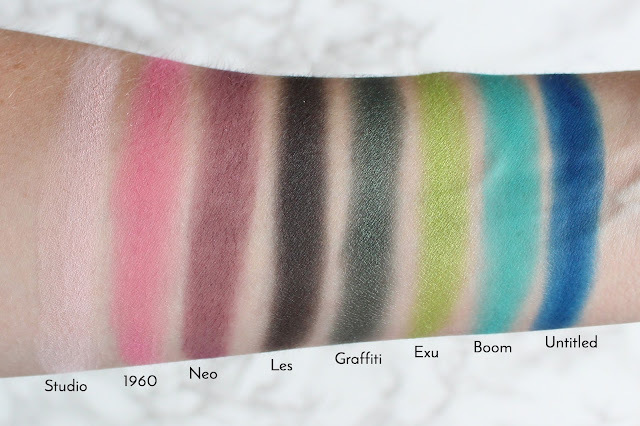 All four powders are highly pigmented and not sheer as described. X-Rated (available in the permanent range) was the most powdery of the four shades, but this didn't affect its performance, as it still has a decent colour payoff. Unfortunately I find UD highlighters have the tendency to emphasise my skins texture and Now's The Time was no exception. 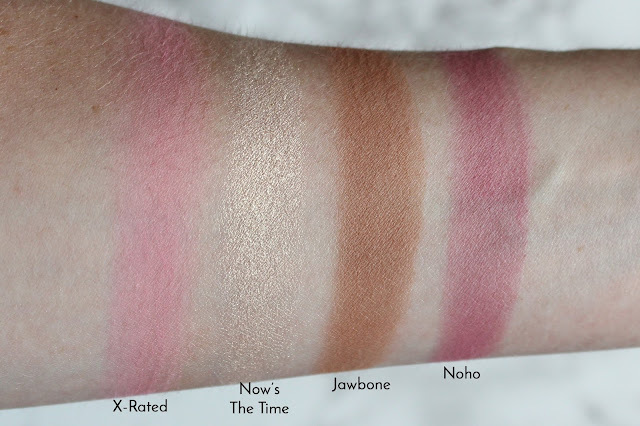 Noho a mauve-plum blush would look beautiful on deeper skintones, but it's more of a winter blush on me. But, both Noho and Jawbone had silky, richly pigmented formulations - a little goes a long way! Urban Decay UD Jean-Michel Basquiat Lipstick in Epigram £16.50* My favourite offering from the collection is without-a-doubt the lipstick in Epigram. Oh my gawd this lipstick shade is e-v-e-r-y-t-h-i-n-g! I only need one swipe to completely cover my lips in the coppery brown and the consistency is lightweight, richly pigmented, creamy, smooth and even a little hydrating! I simply can't fault it. It gets an A++ from me. Yup, the formulation is even better NARS Audacious Lipstick range and it's well worthy of a spot in my everyday line-up. This shade was a sell-out and I've been sobbing ever since as it doesn't seem to be part of their permanent range! 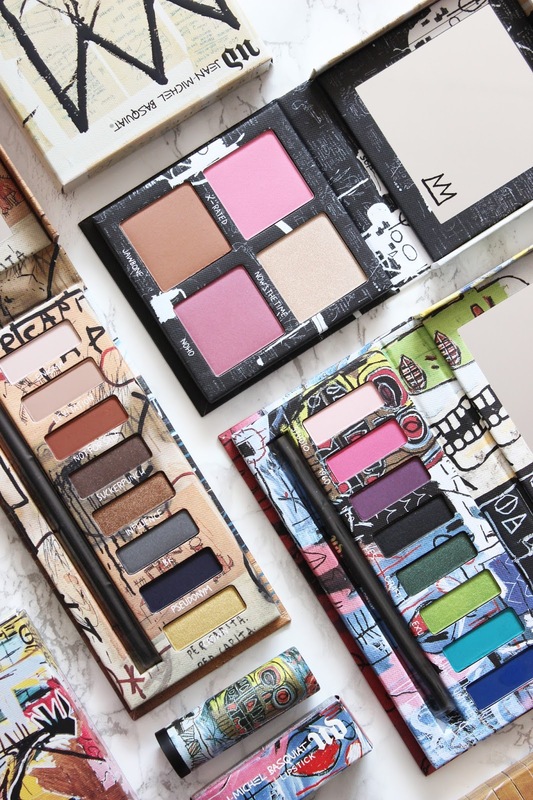 What are your thoughts on the Urban Decay x Jean-Michel Basquiat Collection?